Forward Brett Perlini says the whole squad has “worked their socks off” to put Great Britain one point from the gold medal and promotion to the top level of the World Championship. Last night’s thrilling 4-3 victory over the world’s 16th seeds Italy means GB have won three of their four matches at the Division 1 Group A tournament in Budapest. Not since 1994 have GB played in the elite level of World Championship ice hockey and they are in touching distance of back-to-back gold medals after their promotion from Division 1 Group B last season. “It is unbelievable how hard everyone has worked on this trip,” said the Nottingham Panthers forward. 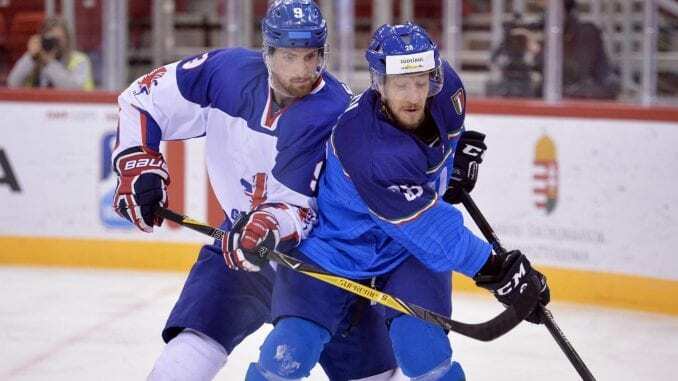 The 27-year-old is playing in his first World Championship for GB and is now the leading goalscorer at the tournament with four goals, although he was keen to stress it is a team effort. “It is great to be scoring goals but everyone is playing their part from front to back,” added Perlini. GB play their final game against Hungary on Saturday, face-off is 7:30pm (6:30pm UK time).